This is the first volume of a new series being published by Oxford University Press in collaboration with the Hospice and Palliative Nurses Association. The goal is to provide palliative care nurses with quick reference guides in each of the key domains of palliative care, mirroring the domains established by the National Consensus Project for Quality Palliative Care (NCP). The content is derived from the fourth edition of The Oxford Textbook of Palliative Nursing (OUP, 2015), which has not yet crossed my desk. It is stated that ‘the Textbook contains more extensive content and references’, but I am uncertain how much difference there is as I have not seen the originals. 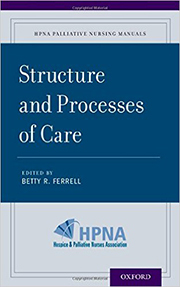 This volume is about the structures and processes that are necessary to support quality palliative care. The first chapter provides a overview of the National Consensus Project for Quality Palliative Care (NCP), following which there are chapters on the delivery of palliative care in various settings – in hospitals, homes and hospices, the ICU, outpatient clinics and in long-term care. There is a lot of information here, with an adequate use of lists and tables. The material is well set out and the information is accessible, in addition to which there is a comprehensive-looking index. Lightweight and pocket-sized, I am looking forward to seeing the other seven volumes in the series. Money-wise, you get more for less money by purchasing the Textbook, but it will depend on personal needs and what you are looking for. I sometimes advise my patients not to go information shopping on Google, but reassure them that I will provide them with useful Internet addresses when a diagnosis is established. The problem is that many websites dealing with medical issues provide information that is not balanced or not true or not up to date, or they are contaminated by commercial interests. So, a bit wary from having counseled many patients and family members who had been scared witless by what they read on Dr. Google, I approached this book with a little skepticism. The book is set out in five sections. The first, Groundwork, includes seven chapters that cover what pain is, how we think about it, and a basic description of how the nervous system works. Some basic diagrams of where the bits are and how they link up were sadly lacking. The second part, Clinical Picture, is about the causes, pathology and diagnostics. The third part, Many Faces of Pain, describes acute vs. chronic pain as well as pain related to occupation and to exercise (or lack of it). The fourth part, Resolutions, includes seven chapters describing the range of treatment modalities – ‘natural’, dietary, physical, psychological, surgical, nonpharmacological and pharmacological. The last section, Wrap-Up, concludes the discussion and provides information about when one might seek a second opinion and how to get the most out of it. There are nearly 100 pages of appendices that include, amongst other things, a list of Internet sites, a glossary, and references. So what did I find? 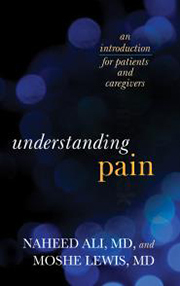 I thought it was an impressive book that provides much of the information patients and carers might want, although more applicable to non-malignant pain than that associated with cancer. It seemed factually balanced and was presented in an organized manner. It is nearly all written to the lay reader, although healthcare professionals are chastised here and there; e.g. when describing the possible consequences of not believing what the patient reports. The question of understandability also comes up. 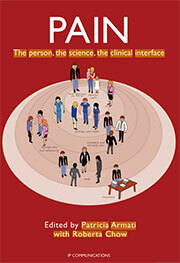 Up To Date provides patient information at two levels: Basic (Grade 5-6 reading level) and Beyond Basics (Grade 10-12). This book falls in the second group, if not higher. But if you are running a pain clinic, especially a chronic pain clinic, you could recommend this book to patients and carers who are a bit more literate and don’t mind a bit of medical terminology. And the authors? Ali’s website states that he ‘completed lifestyle medicine training from Harvard Medical School in 2012, before graduating with a PhD in holistic health in 2013.’ Inside the front cover is a list of nine other books he has written for patients and caregivers, covering a range of ailments from diabetes and obesity, to Parkinson’s disease and Alzheimer’s, to chronic fatigue syndrome and arthritis. 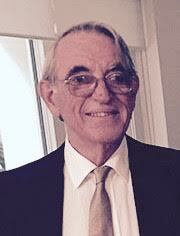 Moshe Lewis MD, MPH is a pain physician and physiatrist. RRP: Paperback $AUD 85.00, ePDF and ePub $AUD 75.00. Not yet listed on Amazon. ‘The person with pain is the centerpiece of this book’…’the hope that this book will provide a different and useful focus…’ Good idea, but I am not sure if it achieves its goal. The first section is about the person, which makes me think of all the personal and psychosocial matters that are important when treating pain. There is some good stuff here, but there are chapters on pathophysiology, myofascial pain and migraine thrown in, which dilute the focus on the person. The chapter on myofascial pain left me no clearer; I would have liked a table setting out the diagnostic criteria, with a critical discussion. The chapter on the treatment of acute pain is almost vague on the use of different drugs for the majority of patients, but gives more detail about the minority who require spinal therapy and other specialized procedures. The chapters on cancer pain and children’s pain stood out in that they provided clinically applicable detail. The second section, on the science, includes interesting material on opioid receptors and gate theories, but includes a lot of material that might become relevant in the future. The interaction of neurons with neuroglia is interesting, but not clinically relevant today. The last section on the clinical interface has good material on the biopsychosocial model of chronic pain and psychological approaches to care. The organization of this book did not strike a chord with me. I thought it was pulling in two different directions: on the one hand, how to better manage pain (with a laudable emphasis on the person and on what the primary care doctor can and should do); and on the other, what’s happening in the neurosciences now that might become important in the next 10-20 years. For the former, there is insufficient specific clinical detail, particularly in relation to drug therapy. For the latter, it’s interesting, but some of it is not clinically important today.